So what the heck is O.W.L. and why is the the book dedicated to Lisa? Much to my shock I’ve received a fair amount of fan mail over the past couple months. This amazes me, because they come from people who enjoy my work. That’s still a foreign concept, and every time I see a new email I can’t help but grin. Many of those emails have asked the same question about the dedication. Who is Lisa and what the heck is O.W.L.? A few people have theorized that it must be from Harry Potter, but no I’m not going for my ordinary wizarding levels. See that lovely girl to the right? That’s Lisa. We’ve been dating for nearly two years, and if it weren’t for her I’d never have published the first book. I’d written the first third of No Such Thing As Werewolves when we met, but it had been months since I’d worked on it. Then she devoured my back catalogue of short stories and novellas, and asked me if I had anything else. So I had no choice but to keep writing. When I finished the first draft Lisa was one of the first to read it and offer feedback, and she’s done the same for The First Ark and No Mere Zombie. She’s not only gorgeous, but also brilliant. Many of my best ideas come from her, including the iconic Warning: May Contain Werewolves. So where does O.W.L. come in? 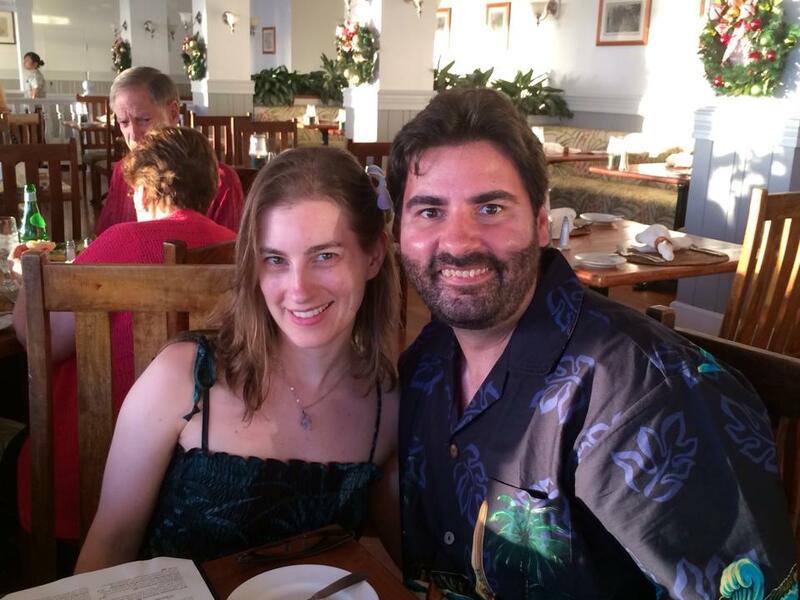 Lisa and I started dating because we are both geeky programmers who love fantasy and video games. Very early in the relationship I told her I’d launched an operation to woo her. This was shortened to Operation Woo Lisa, which became O.W.L. It’s my master plan to landing the girl of my dreams. So far, so good! Lisa’s lovely. I speak for the masses when I say we are SO glad she encouraged you to finish NSTAW.